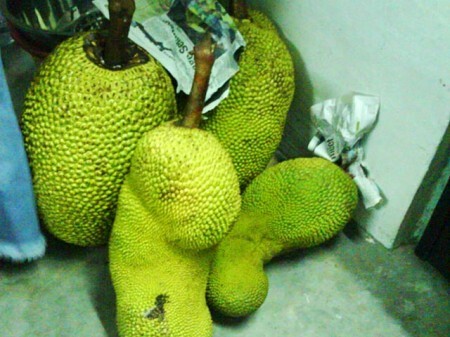 The jackfruit (Artocarpus heterophyllus) is a species of tree of the mulberry family (Moraceae) native to parts of South and Southeast Asia. 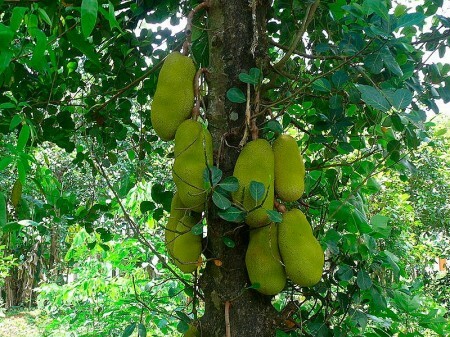 It is well suited to tropical lowlands. 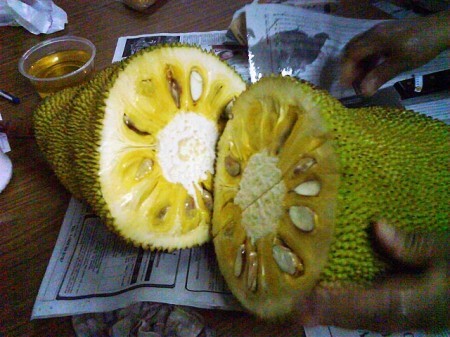 Its fruit is the largest tree borne fruit in the world, seldom less than about 25 cm (10 in) in diameter. 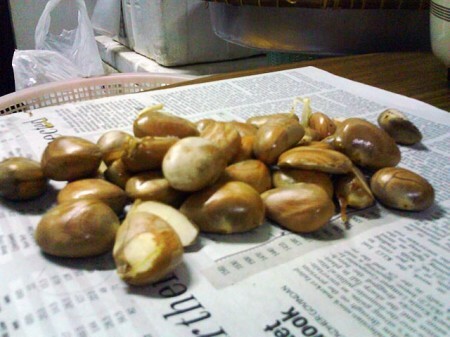 Even a relatively thin tree, around 10 cm (4 in) diameter, can bear large fruit. 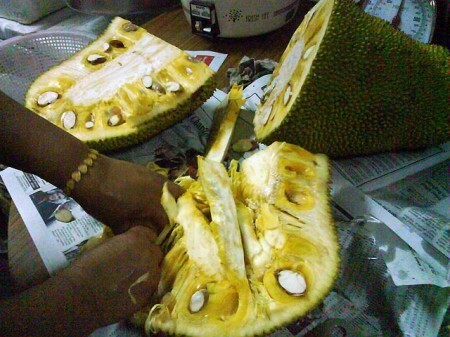 The fruits can reach 36 kg (80 lbs) in weight and up to 90 cm (36 in) long and 50 cm (20 in) in diameter. 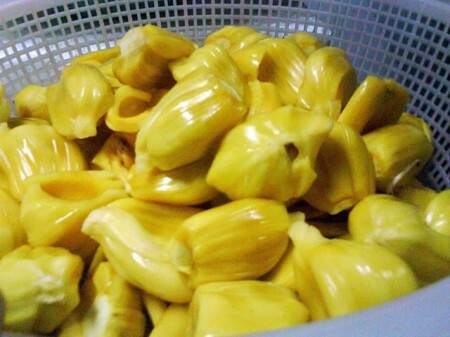 The jackfruit is something of an acquired taste, but it is very popular in many parts of the world. 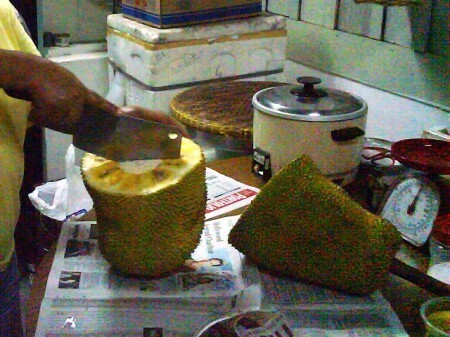 The sweet yellow sheaths around the seeds are about 3–5 mm thick and have a taste similar to that of pineapple, but milder and less juicy.